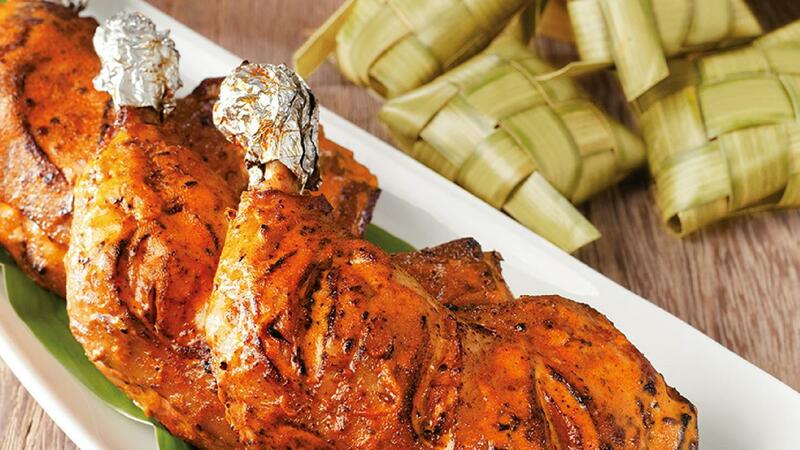 Malay cuisine is rich with robust and flavourful dishes, and this simple roast chicken dish is no exception - flavoured with aromatic cumin, chili and ginger. Marinate chicken whole leg for approx. 4 hours. Roast in pre heat oven, at 150° Celsius, for 60 minutes. Discard from oven. Keep warm before assembly. Melt Planta Chef Margarine over medium heat. Saute all blended items and chilli paste, till fragrant. Pour in filtered water, simmer for 10 minutes. Add in sugar and Knorr Chicken Stock. Low down the heat, add in Lady's Choice Real Mayonnaise. Stir until well mix. Arrange cooked Roasted Chicken on the serving plate. Served with prepared "Percik Sauce".